We are proud to announce our walkability project at the intersection of Market & Denby in the Mt. 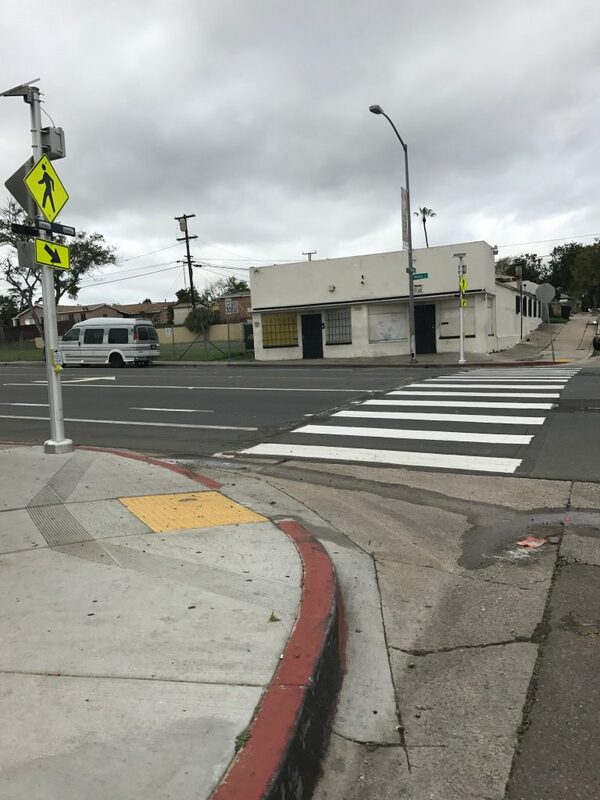 Hope neighborhood of Southeastern San Diego is finally complete and the newly built crosswalk is ready for some action! 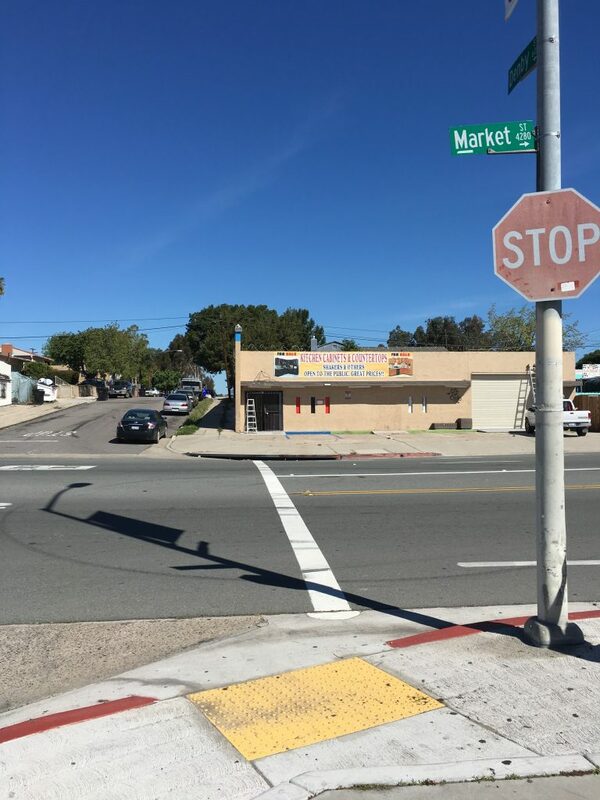 Fresh Garden Market, a participating market in our Live Well Community Market Program, and the Mt. Hope Community Garden, operated by Project New Village, are located at this intersection. 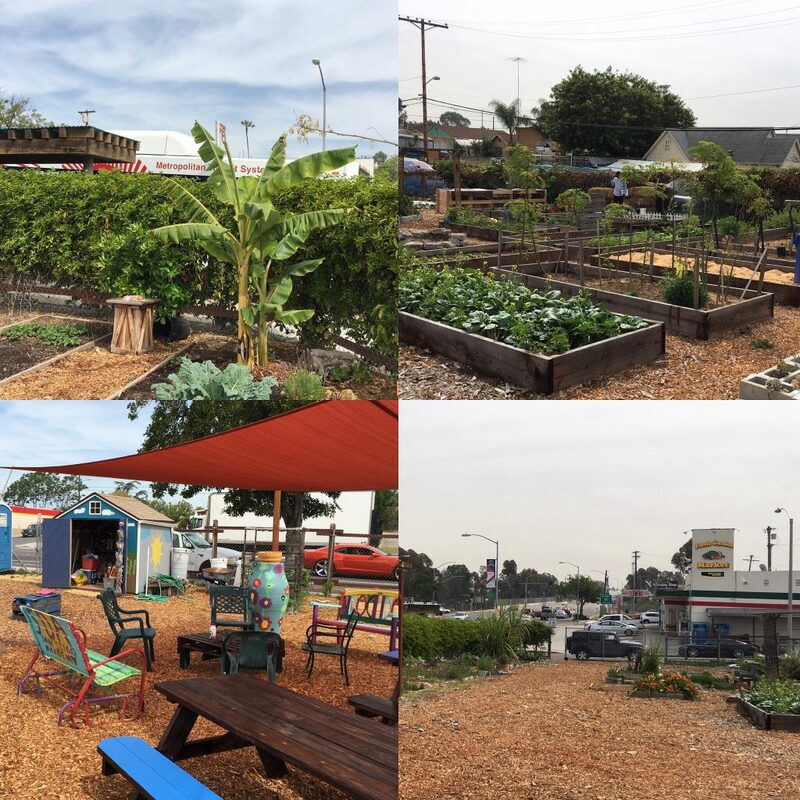 Neighborhood residents now can more safely access both locations for good food opportunities. We want to give a huge thanks to our Community Health Specialist, Kate Mahoney, for organizing the project from idea stage with Fresh Garden Market owner Janice Hernandez, surveying residents and making a great advocacy video, all the way through co-planning our upcoming celebration alongside the Diamond Business Association. Thank you to our collaborating partners and supporters: Diamond Business Association, Project New Village, Fresh Garden Market, County of San Diego Live Well Central Region, Environmental Health Coalition, Circulate San Diego, City of San Diego, and the Southeastern San Diego Community Planning Group. Please join us for a ribbon cutting and festivities! RSVP HERE NOW!